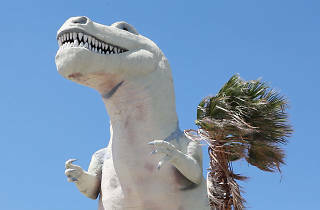 These 100-ton Brontosaurus and T. Rex sculptures once beckoned motorists on their way to Palm Springs to a 24-hour diner. Today they guard the entrance to a Creationist-themed dino museum with an interesting take on the facts. 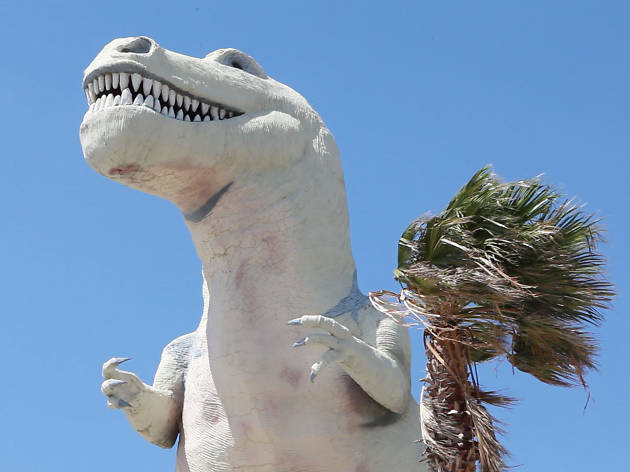 At the very least, pose for a photo with Mr. Rex and walk into the gift shop housed inside Dinny the Brontosaurus’s belly.